Billie Joe Armstrong is "getting better everyday," in fact Green Day is gearing up to hit the road again. 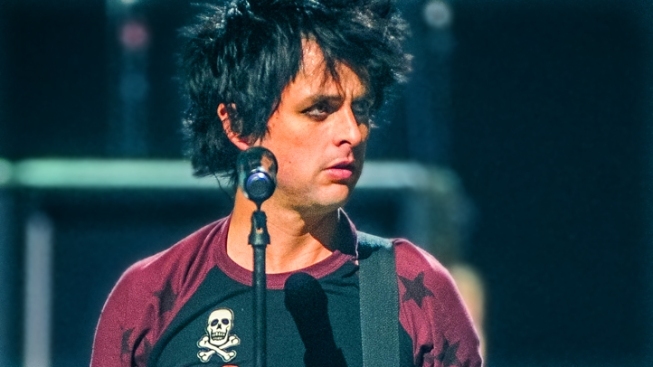 Now that Billie Joe Armstrong has apparently come around, Green Day is finally ready to rage again. The California punk rockers announced today plans to reboot the trek they were forced to cancel in October after the frontman checked into rehab following a profanity-laced onstage meltdown. "We want to thank everyone for hanging in with us for the last few months," said Green Day in a statement. "We are very excited to hit the road and see all of you again, though we regret having to cancel more shows." For his part, a healthier Armstrong took to Instagram via the band's website to express gratitude to those fans who stuck by him during his recent struggles. "I just wanted to thank you all for all the love support you've showed for the past few months," he wrote. "Believe me, it hasn't gone unnoticed and I'm eternally grateful to have such an amazing set of friends and family. I'm getting better everyday." "So now, without further ado, the show must go on..We can't wait to get on the road and live out loud! Our passion has only grown stronger. Happy new year. We love you all. Rage and love," he concluded. Green Day's rescheduled jaunt in support of their trio of new albums, Uno!, Dos! and Tre! will now kick off on March 28 in Chicago's Allstate Arena with stops in Philadelphia, Pittsburgh and Brooklyn's new Barclay's Arena before wrapping up in Quebec City on April 12.